A jury of 14 designers, architects, journalists and critics identified the 310E ADT as a Good Design Award recipient due to its strong chamfers, color breakup and stout overall proportions that secure an active stance and directional assertiveness. The John Deere 310E articulated dump truck (ADT) has been recognized with a Good Design Award for design excellence and innovation. The Good Design Awards Program, presented by The Chicago Athenaeum Museum of Architecture and Design, showcases the most innovative and cutting-edge industrial, product and graphic designs produced around the world. A jury of 14 designers, architects, journalists and critics identified the 310E ADT as a Good Design Award recipient due to its strong chamfers, color breakup and stout overall proportions that secure an active stance and directional assertiveness. The design language used in development of the ADT is incorporated in all John Deere Construction machines, ensuring a consistent look throughout the product family. 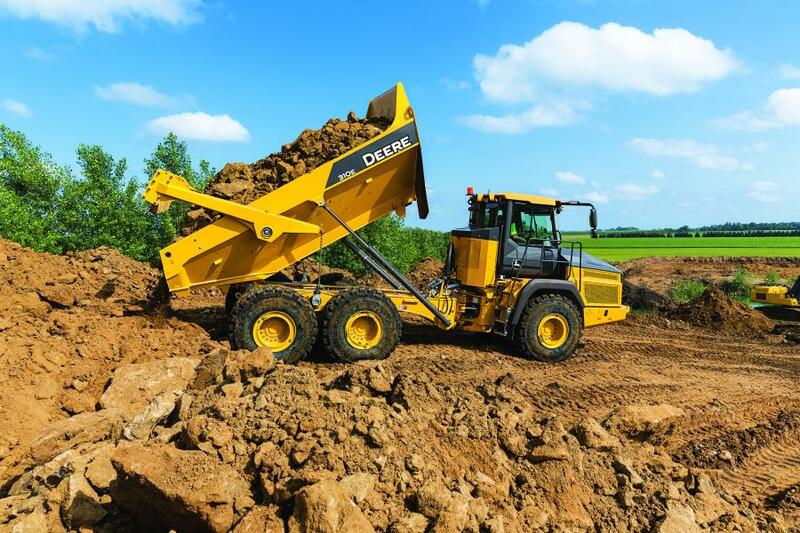 Manufactured at the John Deere facility in Davenport, Iowa, the 310E is designed for performance in mining, quarrying, road building and other large-scale material-moving applications. The 310E ADT joined three other pieces of John Deere equipment to win a Good Design Award, including the 3756G Swing Machine, 4-Track 9RX Series Tractors and the Round Baler Family.